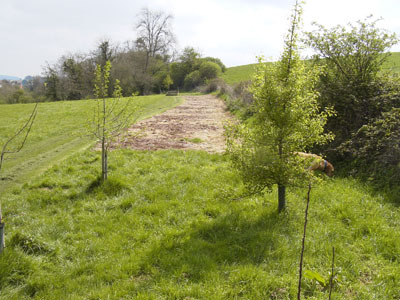 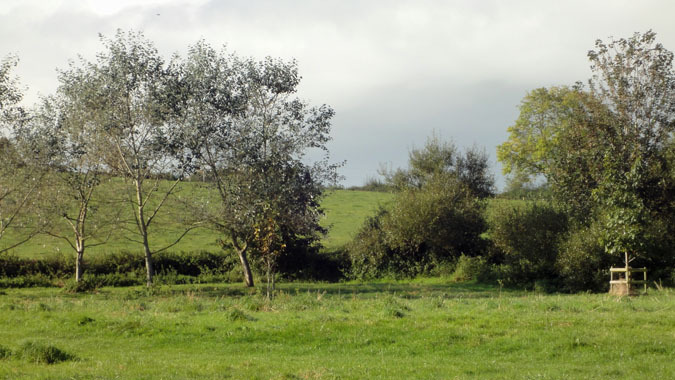 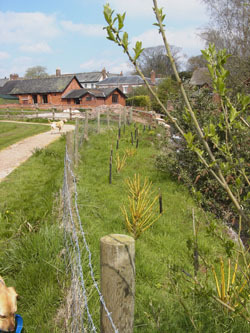 In addition to native trees already growing in the meadow, many others, mostly native, were planted. 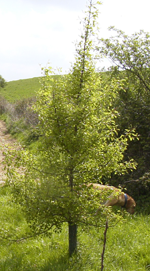 Willows line part of the stream and wild pear and apple trees grow near the wildflowers. 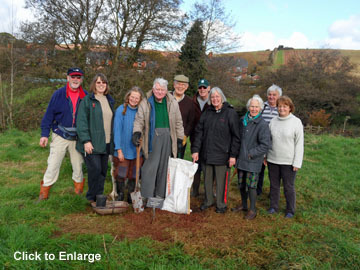 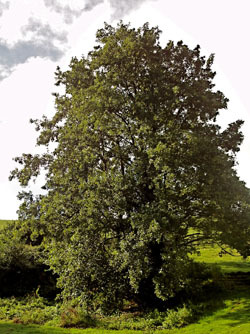 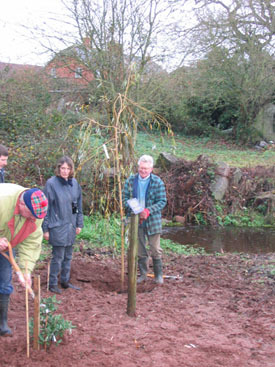 A Royal Oak was planted recently to commemorate the Queen!s Diamond Jubilee. 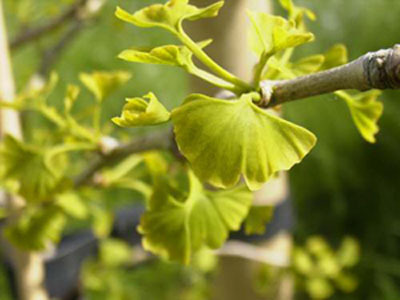 There is even a fossil tree – the Gingko.